The Drive Your Bike program prepares students to bicycle safely to school and around their neighborhoods, and encourages them to start riding more often. The unit starts in the classroom, moves to the blacktop, then culminates with an off campus neighborhood bike ride. Bicycles and helmets are provided, and there are opportunities for students to learn to ride if they don’t yet know how. 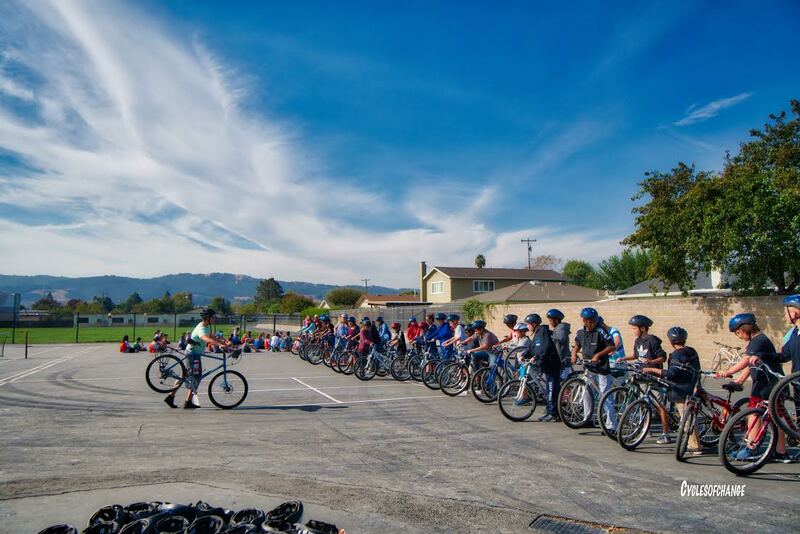 Drive Your Bike programs are typically held during PE classes. The middle school curriculum is 5 hours long, and the high school curriculum is 4 hours long. To schedule a Drive Your Bike program at your middle or high school, please use the request form available to the right. If you have questions, please email Loke Davis at bike.ed@alamedacountysr2s.org.